According to a new report North America Intelligent Virtual Assistant (IVA) Market, published by KBV research, the North America Intelligent Virtual Assistant Market Size would witness market growth of 33.9% CAGR during the forecast period (2017-2023). The US market holds the largest market share in North America Text to Speech Intelligent Virtual Assistant Market by Country in 2016 and would continue to be a dominant market till 2023; growing at a CAGR of 37.2 % during the forecast period. The Canada market is expected to witness a CAGR of 35% during (2017-2023) in North America Automatic Speech Recognition Intelligent Virtual Assistant Market. Additionally, The Mexico market is expected to witness a CAGR of 33.8% during (2017-2023). The BFSI market holds the largest market share in Mexico Intelligent Virtual Assistant Market by Vertical in 2016 and would continue to be a dominant market till 2023. The Automotive market is expected to witness a CAGR of 37.8% during (2017 - 2023). 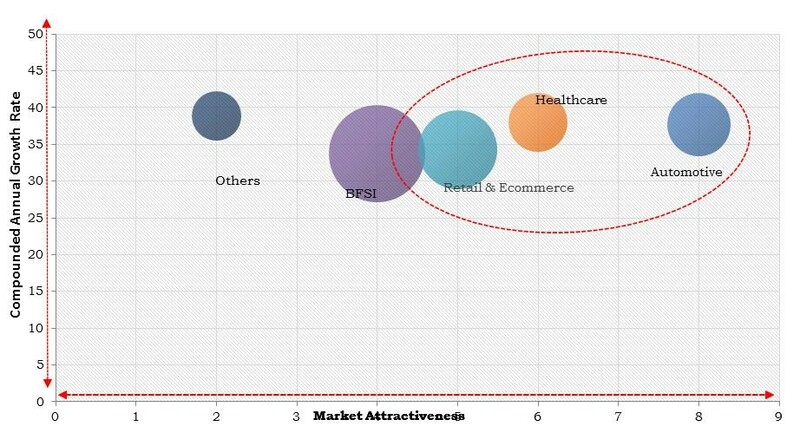 Additionally, The Healthcare market would garner market size of $68.3 million by 2023.